Watch Tuesday, August 26, 2014 at 8pm on WMHT TV. In the fall of 1864 the Confederate Army marched Union prisoners into a hastily built compound called Camp Lawton in Jenkins County, Georgia. The population mushroomed to more than 10,000 in just six weeks. Then, as Sherman's army approached, guards and prisoners alike were forced to flee. Abandoned, the camp disappeared into the forest and remained undisturbed for over a century, until a team from Georgia Southern University surveyed the site. They found what appeared to be on wall from the camp stockade wall, Civil War era coins, a daguerreotype, and more. The rest of the story was waiting to be uncovered. 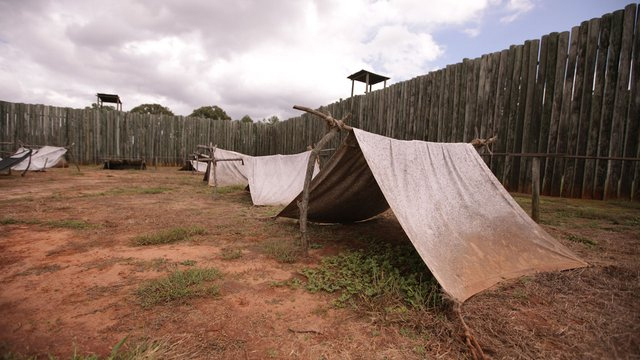 Time Team America joined the effort to map the entire stockade and learn more about this important moment in the nation's history.